Papergreat: A few quick things about my favorite edition of "Grimm's Fairy Tales"
My favorite version of "Grimm's Fairy Tales" that I've come across is a copy of the 1900 edition published by Ward, Lock & Co., Limited, of London. This edition, featuring 86 tales, was translated by Beatrice Marshall. 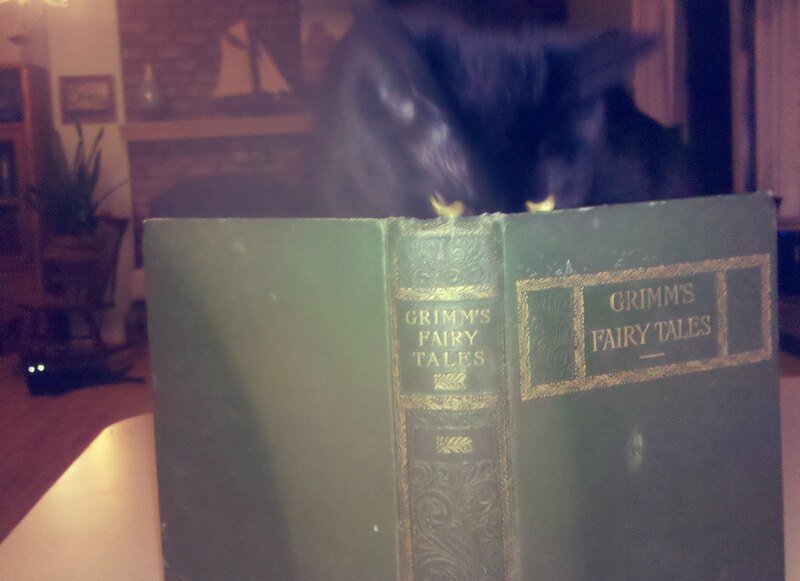 These are much closer to the original, unsanitized tales by Jacob and Wilhelm Grimm than the Disney-esque versions that children have been familiar with for decades (which makes them far more interesting). Once you get past the gold-lettered front cover, there's this neat bookplate on the inside front cover. 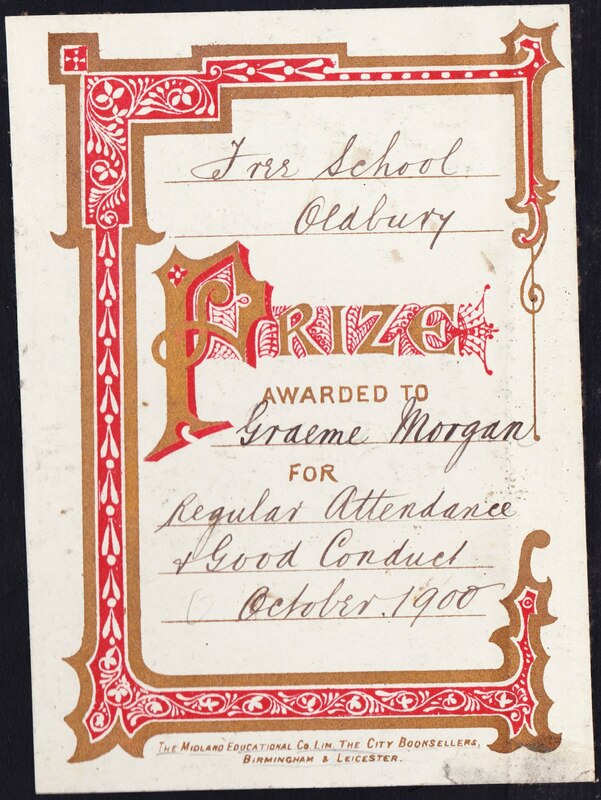 It states: "Free School Oldbury Prize Awarded to Graeme Morgan for Regular Attendance & Good Conduct October 1900." That makes this just about the coolest good-attendance award I can imagine. The book contains just one illustration — a frontispiece. According to David Blamire's book, "Telling Tales: The Impact of Germany on English Children's, Books 1780-1918," this was one of the final editions to focus on the tales and their translations. After this, the focus was on heavily illustrated editions geared toward younger children (and higher sales). 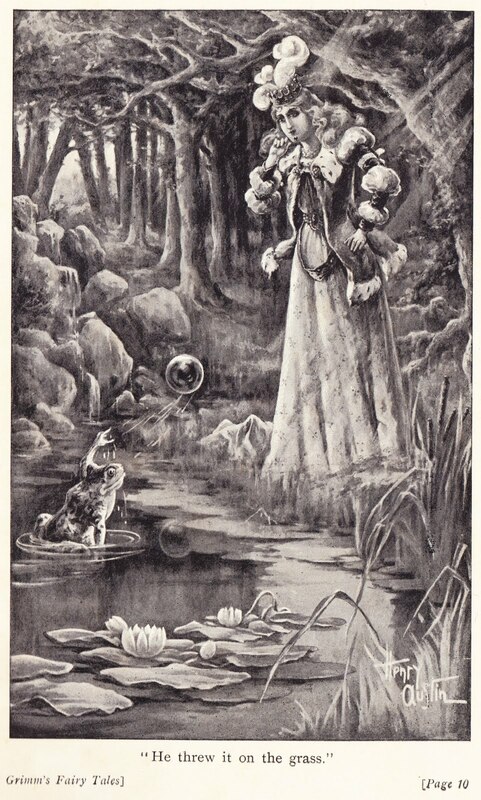 Here's that frontispiece from "The Frog-King." Is the Oldbury Free School document for sale? I live in the town of Oldbury and this would be of interest to me.